Working flexibly or working from home are often in the same category. However, there are various differences and requirements from each role. Working from home simply means having a routine and working every day just as you would in an office. Except without the commute. Flexible working, however, means a little more freedom with your choices. You can choose your hours, your days and the location you want to work in. There are many benefits within flexible working (shown below). Some other benefits include the savings that take place financially; as there is no commute or travel. You also save a lot more time without commuting all the way to the office and save time dressing up. Although you need to be quite stern with yourself, there is a lot of great benefits of working flexibly. 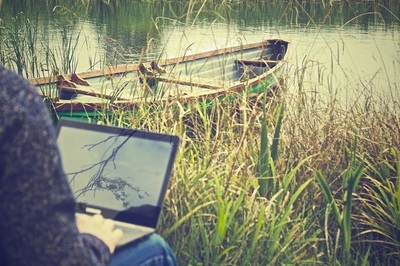 Flexible working is considered to be much more enjoyable, as well as stress and pressure-free. Many workers have admitted to enjoying their jobs much more because of the flexibility of their working time. Being able to choose to work at one point or another means that you are doing it willingly, there's no necessary enforcement or rule, therefore passion and love for the job role is much more evident. If you're interested in applying and want to know more, you can take a look at our case studies. ​​Not everyone fits into a flexible working environment as some prefer an office and a routine of 9 to 5, however, most of us want more time at home, more time to spend with our families and more personal time. Flexible Working allows for you to choose when you want to get up every morning, if you want it to be different each day, when to finish working and when to start it again. ​Some of us may work most productively in one or two specific hours of the day, so you want to make sure you're focused and ready to work. On the other hand, you may get to a certain point in the day where your body and mind shuts down for a few hours or for the whole evening: the best person that knows you is you. Hence why it's your choice! Not only can you adjust the amount of hours in the day that you work, but you can also choose which days are best for you. Therefore the week is no longer a mandatory time to be in the office and the weekend one to be at home. You can pick and choose and mix what feels right for you. The location is another fantastic asset of flexible working. Many of us are incredibly resilient to joining a stereotypical office work environment. And for good reason. There's very little opportunity to move around, it can become quite dull and repetitive. If an office is your forte, however, then you may be happy where you are. But for the rest of us, flexible working could be what we're missing. Picking from a cafe, to your favourite library, to your own home or working together at a friend's house: nothing is too outrageous or unadvised. If you're comfortable, and if you can focus, then any location will do just fine. In fact, an experiment was done a while back where a man worked on the side of a building, in mid air to raise awareness of just how flexible you can be. You can watch that video here. So give yourself a few options and don't be afraid to truly break some boundaries. Now you know the endless benefits, you can start your request!